Two Buildings Single Family House (3 Bed / 2 Bath) Separate Apartment (1 Bed / 1 Bath) 2344 Total sq ft / 2176 Under Air sq ft Rented last year for $2300 and $900 Current Market Rent is $2500 and $1100 = $3,600/Month. 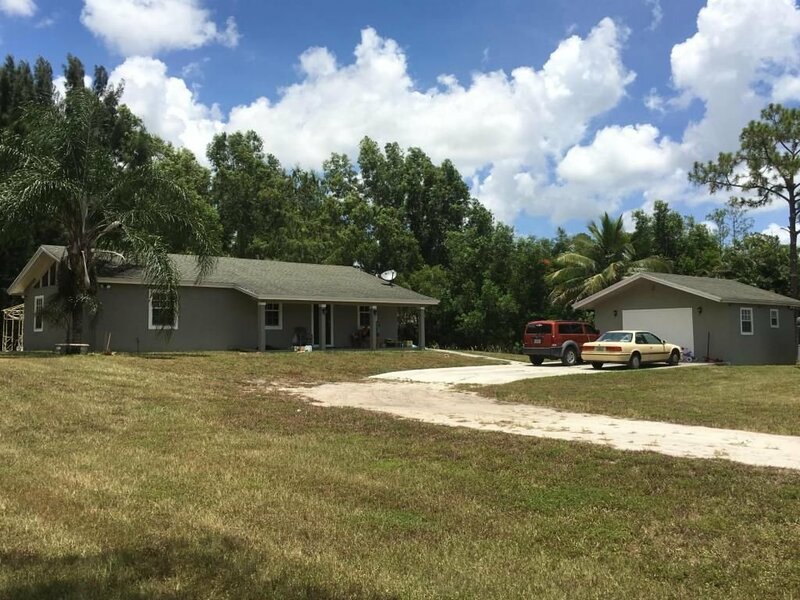 Large corner lot / Fully Fenced / w small pond Dimensional shingle roof (2004) On Paved Road Great location between Southern Blvd & Okeechobee. This property just needs some clean up work. Updated kitchen cabinets and all appliances included but needs some tile repairs. Has huge family room (23×20) with french doors to backyard. Detached garage was converted to a 1 bed/1 bath apartment with living room and kitchen and stackable washer/dryer.